My First Wasai Project – Completed!!! | Ready, Set, Kimono! My First Wasai Project – Completed!!! It’s finished! 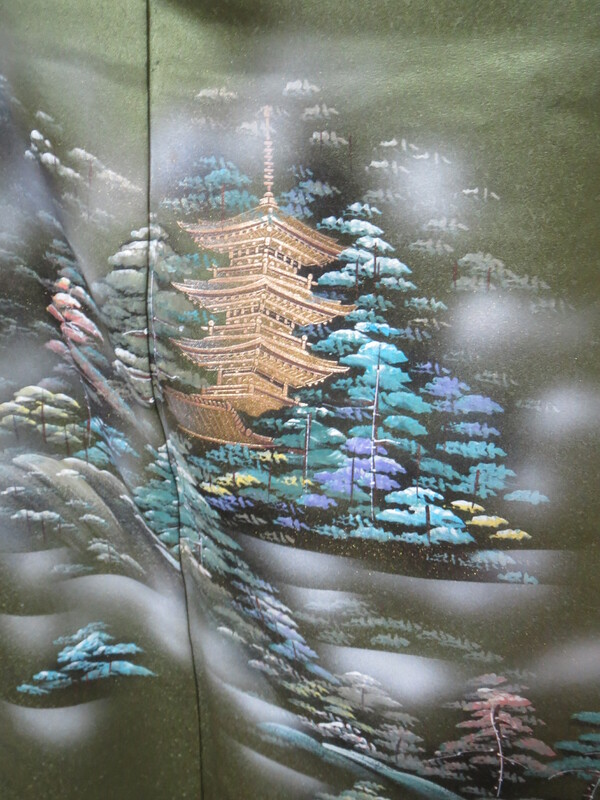 I finished my first kimono deconstruct and reconstruct! 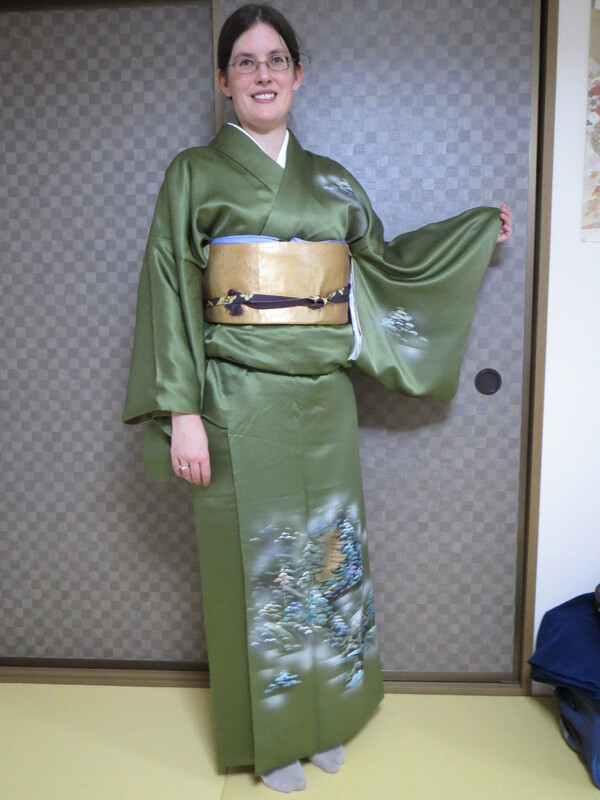 This kimono was one that I fell in love with, but the yuki was too short, a common problem for me. 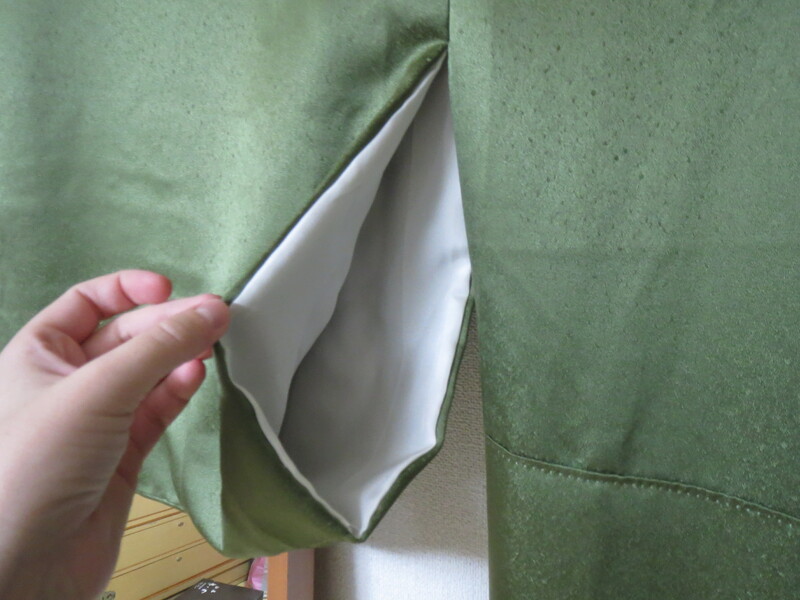 So with the help of my wasai teacher, I unstiched the sleeves and widened the side seams before sewing it all back together again! I didn’t get any pictures of the process unfortunately, I was too busy trying to absorb all the new information being thrown at me every week. 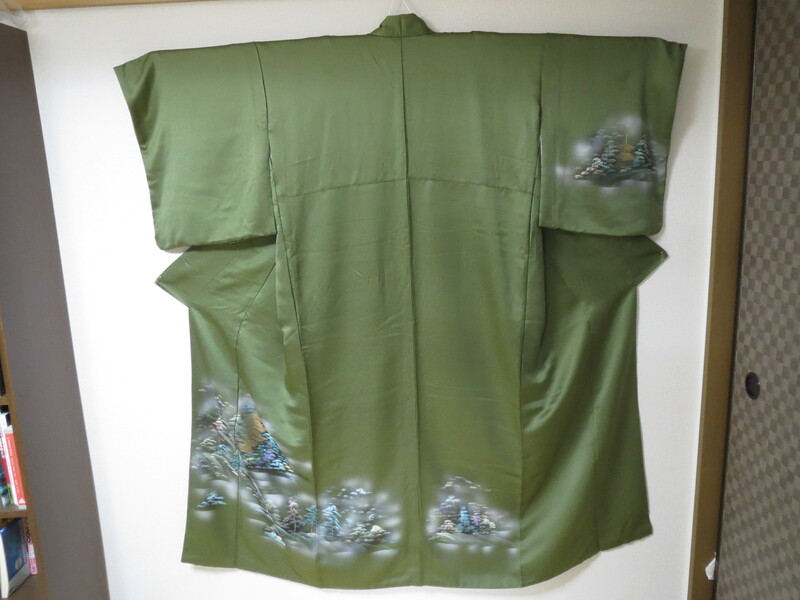 Could I replicate the process with another kimono? Probably not on my own. At least not yet. My brain was on overload the entire time and I’m sure I have already forgotten some steps. But I will definitely have other opportunities to practice. The journey continues! Here is the beauty in question. It’s a tsukesage that I picked up secondhand for 2500 yen. The detail on this piece is incredible. I was lucky that I didn’t have to unstich the panels around the design, since that would have disturbed the overall effect. 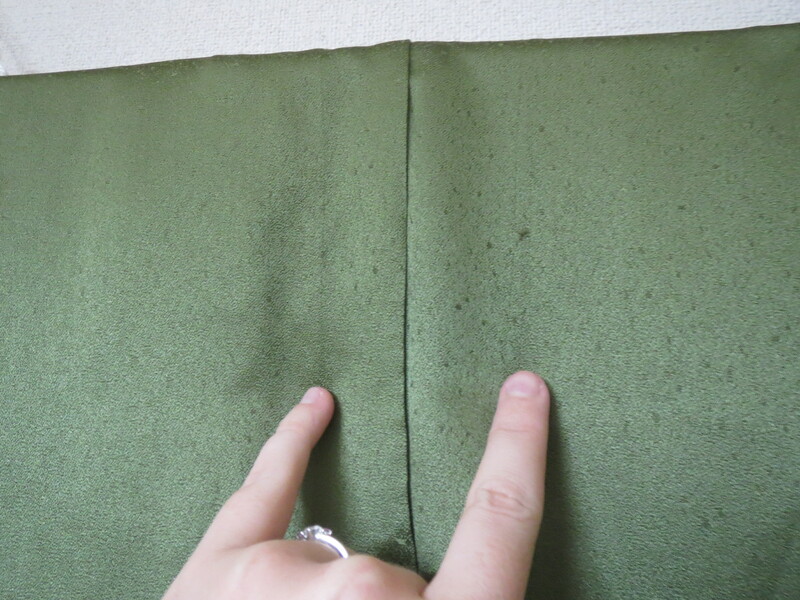 Here, you can clearly see the original seam lines and how much length I managed to get out of the hidden fabric, about 4 cm. Here is the other side. My iron was working a little better on this side. 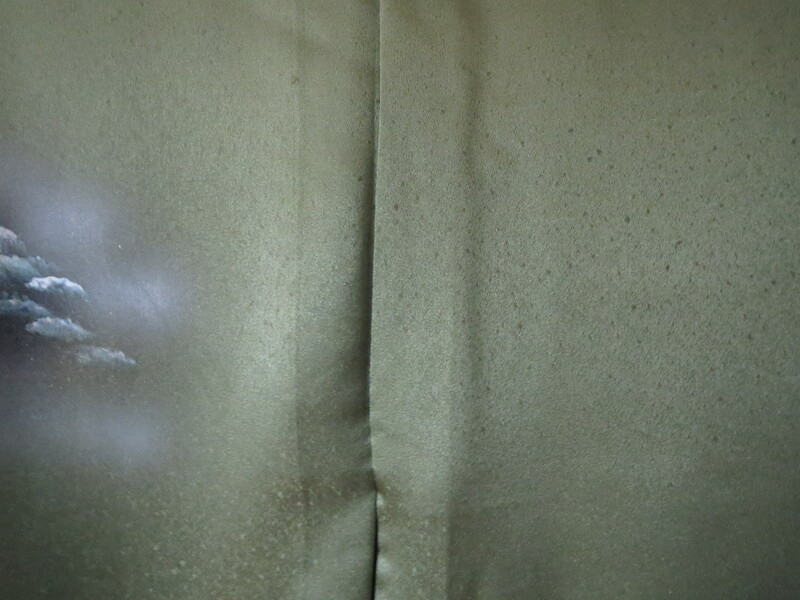 My fingers are marking the original seam lines. SLEEVES!!! 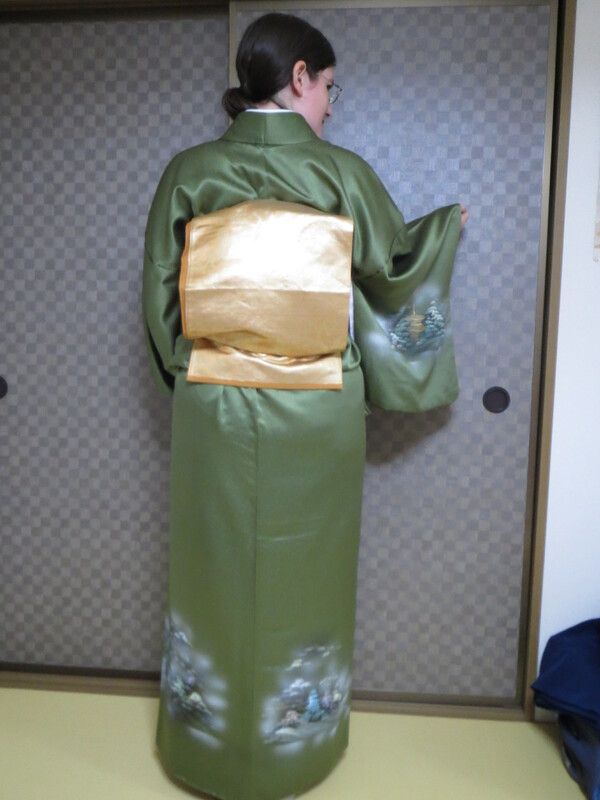 My instructor was very clear that sleeves are one of the most difficult parts of kimono sewing. I agree! It fits! It really fits! 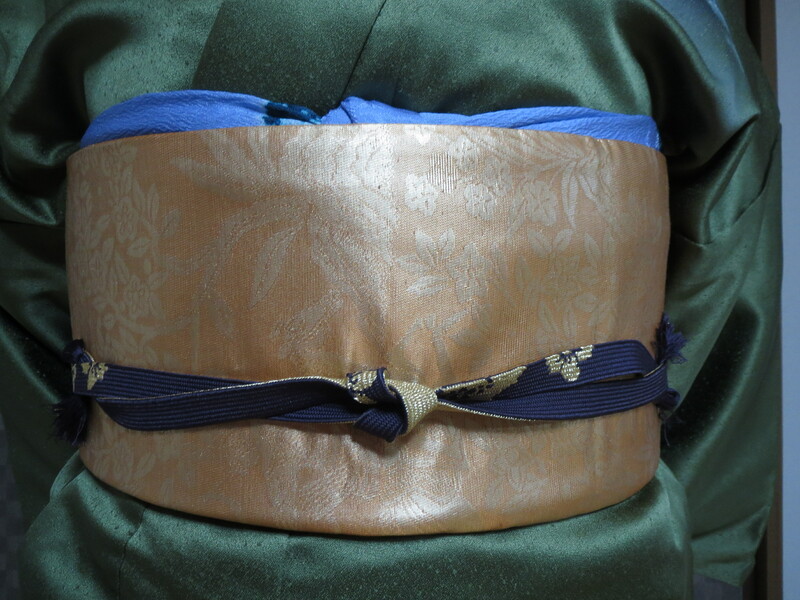 I decided on blue and purple accessories to match the colors of the trees on the skirt of the kimono. Here are some of the details on my obi. 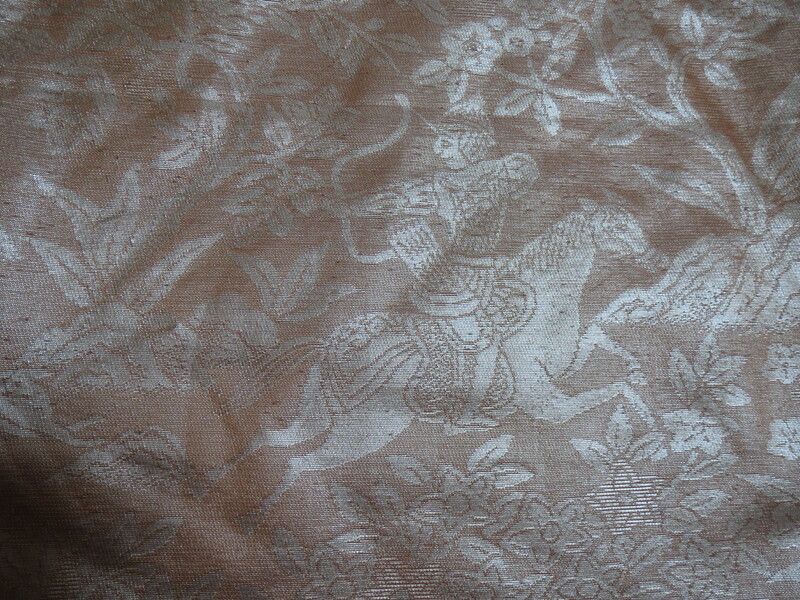 It’s definitely not a classical Japanese motif! ← New Motifs and an Update!